Singapore is exotic, unique, mystifying and colorful. 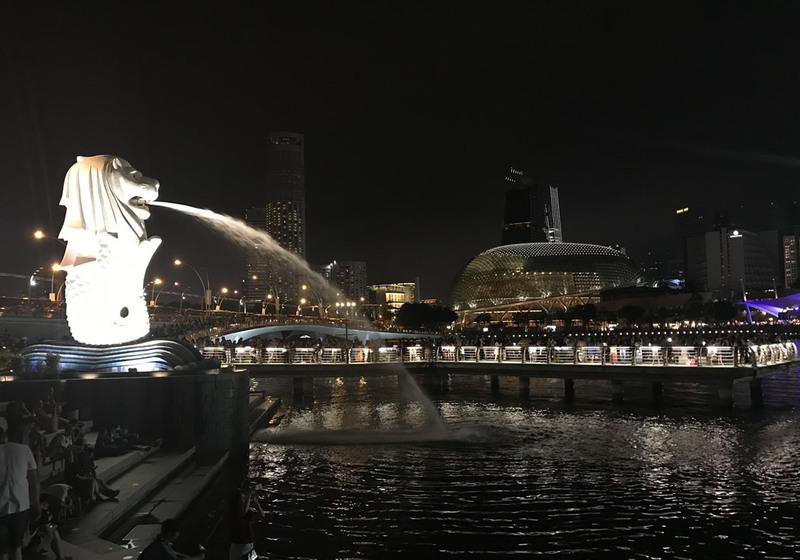 There is a never-ending list of things to do in Singapore from eating, sightseeing and catching the all-time favorite Merlion - the official mascot of Singapore! We have found that when it comes to finding out what to see in a city, the best advice is to ask a local. So we did! 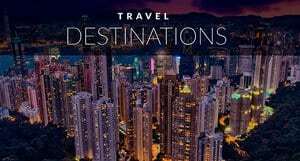 After reading this Singapore travel guide, you will get a clear picture of the top attractions in Singapore and the best tours to make for a memorable experience. The thing that always amazes many people who visit Singapore, is that despite its diminutive size, it still boasts some of the most popular skyscrapers and iconic structures in the world. While exploring this friendly, multicultural city you'll discover Singapore has more to offer than you can imagine. I have rounded up 22 of my favorite things to do in Singapore to help you plan your trip. The best way to save money and explore all the sights in Singapore is to get yourself a Singapore Tourist Pass. What I love about this pass is that it not only offers a great discount, but it allows you to customize which attractions are most important to you and gives you access to tours that are not available with other passes. Get your Singapore Tourist Pass now to Save yourself some money. Marina Bay Sands is the most renowned hotel in the world, topped by a Sky-park giving you a 360-degree view of the city. It is something you really must do in Singapore. Standing here, you have an unobstructed view of the Gardens of the Bay, the Singapore Flyer and the Iconic Merlion. The Sky-Park holds the world’s largest Infinity pool offering you one of the best views of Singapore’s landscape. 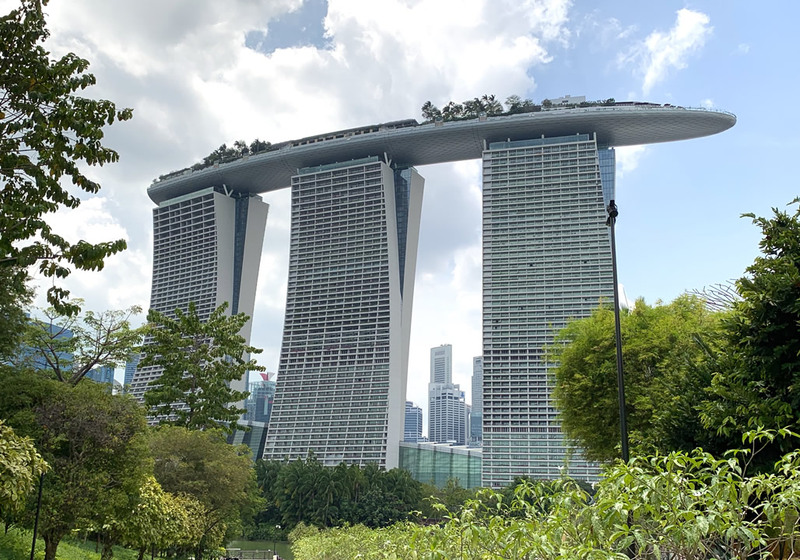 If you would like to experience Singapore on a whole new level, you can book your accommodation at the Marina Bay Sands! Only guests have exclusive access to the Infinity Pool. This allows you to enjoy the glittering city-skyline of Singapore anytime you want. Book here now! Tickets cost around $17 USD for adult, $15 USD for Seniors, and $13 USD for Children 2 – 12 years of age. Entrance is free to hotel guests and children under 2. 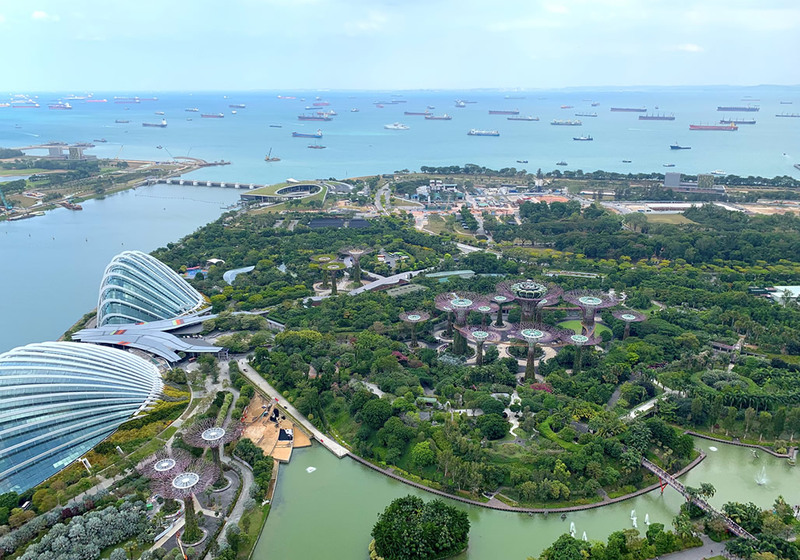 To visit the Skypark and experience one of Singapore's top attractions without booking accommodation, click here! For Skip the Line Tickets, Click here now! Wondering where to go in Singapore for a quiet escape? Exploring the beautiful Gardens of the Bay amid in the busy city is a must do in Singapore. Spanning a total of 101 hectares in the heart of Singapore, The Gardens of the Bay is an integral part of a “City in a Garden” concept. It is one of those Singapore tourist attractions that the locals love too! 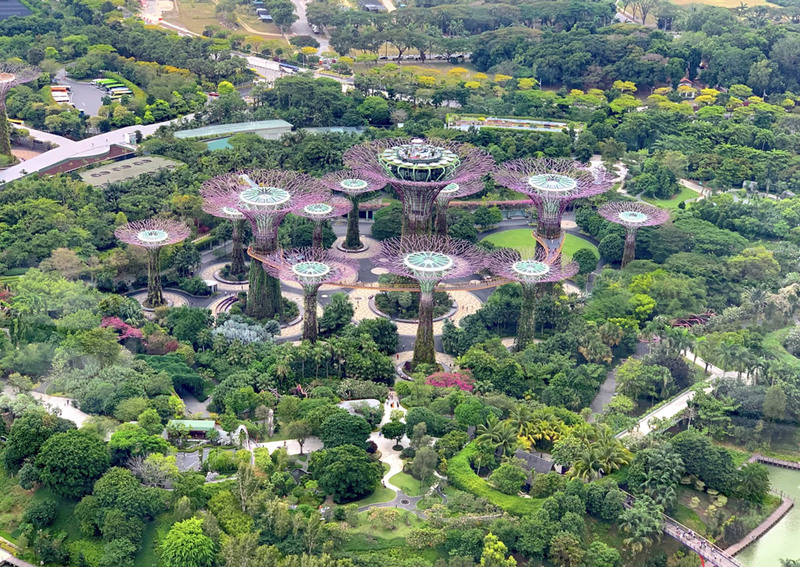 Its supertree structures, skywalk, and Cooled Conservatory domes make it a perfect city escape. If you are not afraid of heights, you can pay a small fee of $8 per adult to stroll along the 22-meter-high skyway and enjoy the panoramic views of the Gardens. 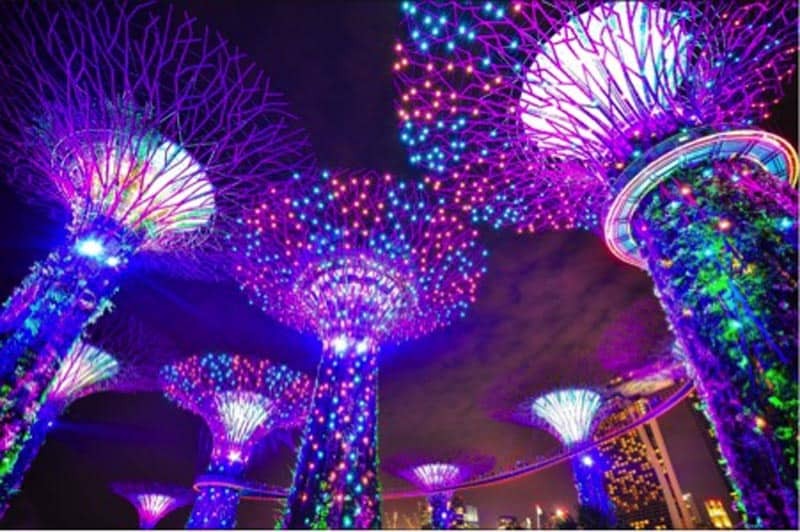 Every night (at 19:45 and 20:45) there is a beautiful light and music show at the Supertree Grove, where the tree structures come alive, making you feel like you are having a mystical, fairy-tale like experience. Don’t miss this free light & music show when you are at the Gardens of the Bay in the evening. If you have the Singapore Tourist Pass, this is included. Popular among tourists and locals alike, Sentosa is always filled with many fun things to do for families, friends, and couples! Well-known as “The State of Fun,” Sentosa is a man-made mega theme-park and recreation island. There is also a theatre and many restaurants to choose from. The free tram runs within Sentosa island which stops at Imbiah station, Beach station and Waterfront Station. The Mega Adventure Park Bundles starts from $12.00.You can book a hotel right on the island. 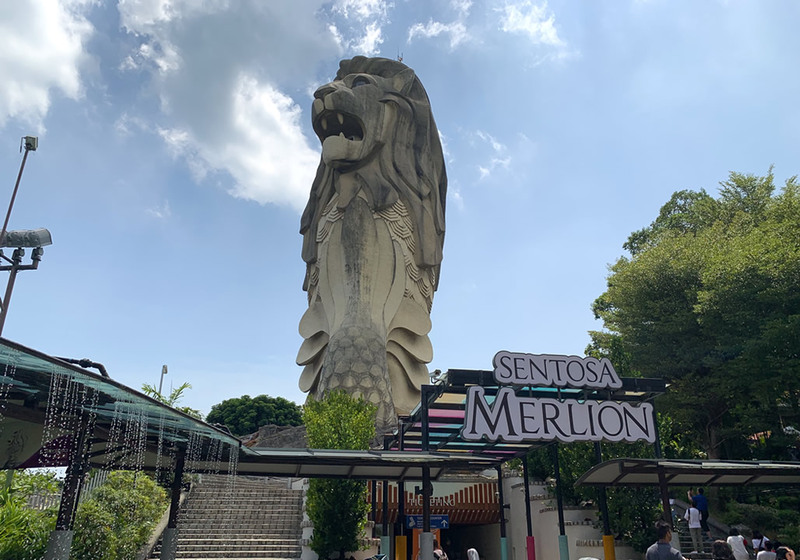 There are different options of Fun Pass Packages offered at Sentosa Island, for complete Price info and Discounts Click here. If you want to experience all the highlights of Sentosa Island, get the best deal here. The very first and only Universal Studios theme park in Southeast Asia is in Singapore! For those who love the thrills of a roller coaster, screaming through the Mummy Ride or getting soaked on water rides, you get it all here! There are a total of 28 rides in seven themed zones. Even though I have personally been to Universal Studios, I still love the idea of going back there to experience the rides! You can purchase your discounted ticket with retail voucher here. Skip the line and get an Express Pass here to your favorite attractions in Universal Studios. The Merlion is the Mascot of Singapore and is one of the most popular places to visit in Singapore. It attracts an enormous number of tourists every year. This national icon depicts a lion head with a fish body spouting water from its mouth. Merlion Park and is believed to guard Singapore’s prosperity. If you are looking for things to do in Singapore at night, this is the place to be! You can catch a free light and water show from Merlion Park. Showtimes: Sunday to Thursday: 8 pm and 9:30 pm (Friday & Weekends extra show added at 11 pm. Merlion is open to the public 24 hours a day, and the park is free to visit any time of the year. If you would like a unique experience of walking into the Merlion’s mouth, you can do it at the Merlion located on Sentosa Island. Over here, you get a panoramic view of Sentosa. It is now time to highlight Singapore Top Attractions for Adventure Lovers. 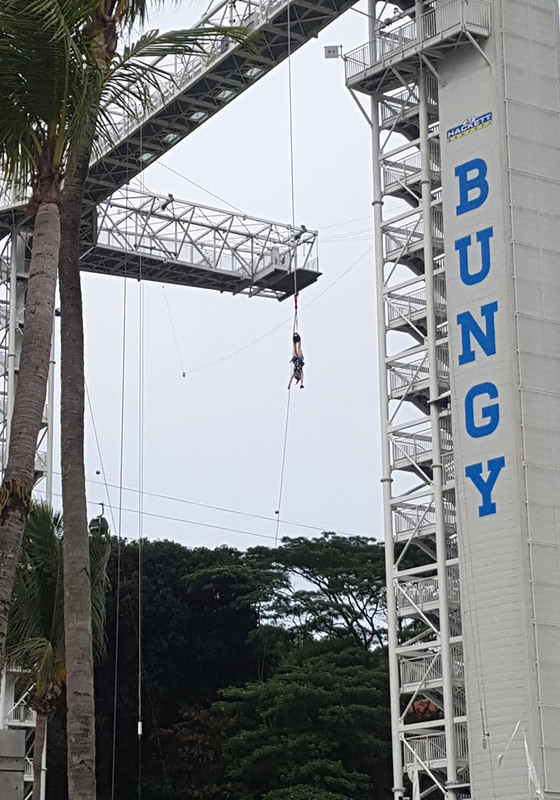 A newly opened attraction located in Sentosa Island on Siloso Beach is a place for adrenaline-charged activities like Bungee Jumping, Giant Swings, and a Skybridge! If you like extreme sports, this is the place for you. It is the very first and only place you can go Bungee Jumping on this small island with breathtaking views of Sentosa beach and resort. In the evening, at The Sunset Deck, you can catch the best sunset view in Singapore from Siloso Beach! Buy the Mega Adventure package for the best deal with three adventures in one bundle - regular price for Bungy cost $199 and $79 (Singapore dollars) for Giant Swing. You can also add the Giant Swing as one of your attractions with the Singapore Tourist Pass. Check out combo deals, monthly specials and the hours of operation here. 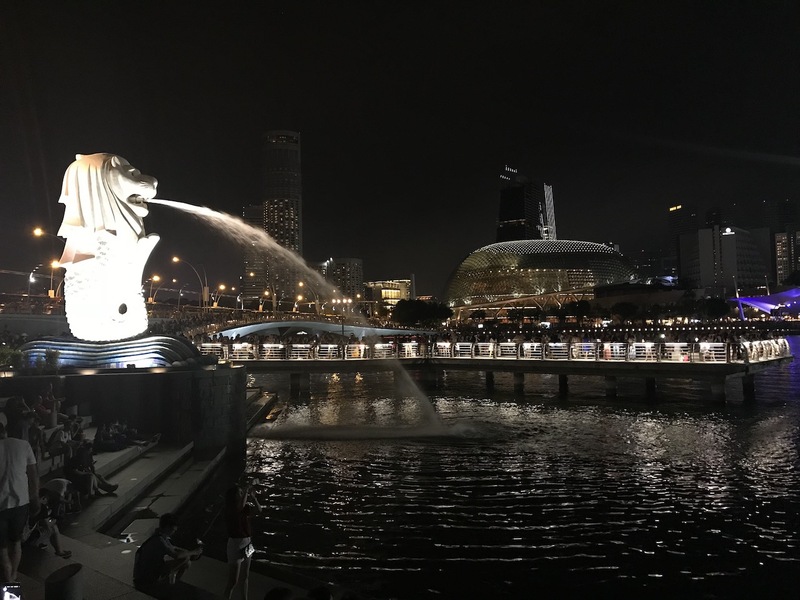 Your best Viator guide to Singapore Tours - Provides various options of attractions and activities to help you save time and money. This site also offers free cancellation and full refund up to 24 hours in advance. Explore Singapore with the City Sightseeing Singapore Hop-On Hop-Off Tour. Ride the open-top double-decker bus for $29.42 and hop off anytime to visit the attraction of your choice. Ticket valid for 24-hour or 48-hour hop-on-hop-off tour within two bus routes for one price. Singapore City Tour offers the best trip to Marina Bay - one of the most popular districts. It includes the iconic Merlion and other landmarks in the city. Get the perfect experience at Singapore's top tourist spot. Singapore's Chinatown Trishaw Night Tour with Transfer. A 4-hour guided tour by trishaw passing through the lively streets followed by a cruise along the Singapore River. Travel includes a lovely dinner at a Chinatown restaurant. A unique gastronomic tour to the center of the luscious lane, Singapore Hawker Center Food Tour with Hotel Transfer is a 3-hour tasting tour, feeding both your body and soul with lots of enticing local food while you learn about Singapore’s rich culinary history. The first ever skyline luge in Asia is one of the best outdoor activities in Singapore! It is a favorite activity for both locals and tourists to race down four exciting tracks on a go-kart. This luge is suitable for all ages and once is definitely not enough. In addition to that, you get to ride on a scenic chairlift which gives you a bird’s eye view of Sentosa Island. It is gorgeous in the evening when the sun is about the set. I loved the luge, especially the spectacular views through the Skyride! Well-known for its award-winning outdoor show, you get to experience the multi-sensory Wings of Light and water effects at the Wings of Time. This is a must do in Singapore as you will be mesmerized by an awe-inspiring display of fire, lights, water and laser effects. It makes for a magical night and is one of my favourite things to do in Singapore at night. There is no better way to end the day than with this fabulous night show. 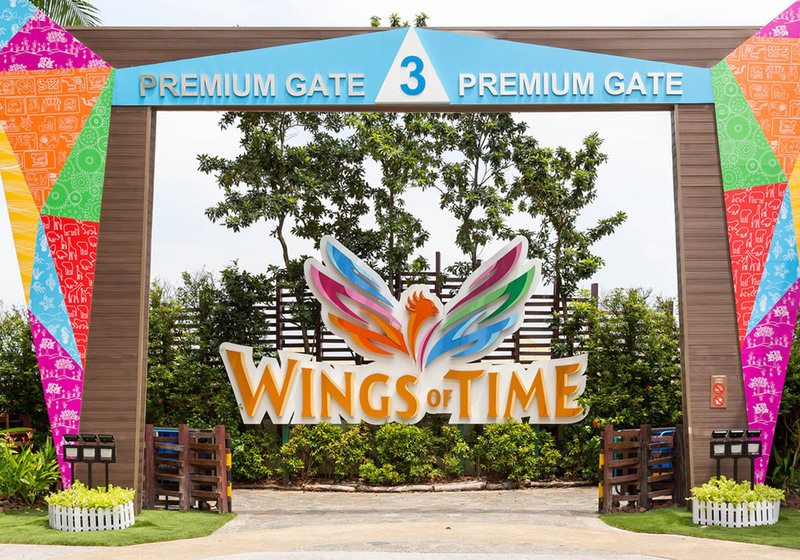 The Wings of time is the most popular outdoor show at Sentosa. It's a night full of magical performance and amazing visual effects. Check out the events and select your tickets. This is a perfect attraction to include in your Singapore Tourist Pass. Catch the Wings of Time and other inclusive great deals offered here. 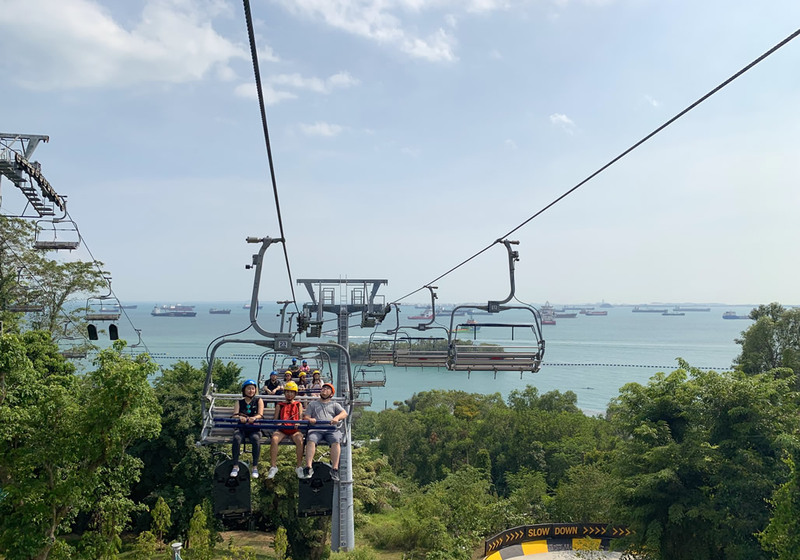 Sentosa Island Afternoon Tour including Madame Tussauds - This guided tour includes resort activities, entrance to multiple attractions, scenic cable car ride, and the Wings of Time show. Plus the 4D Adventureland experience and Madame Tussaud'swax museum . 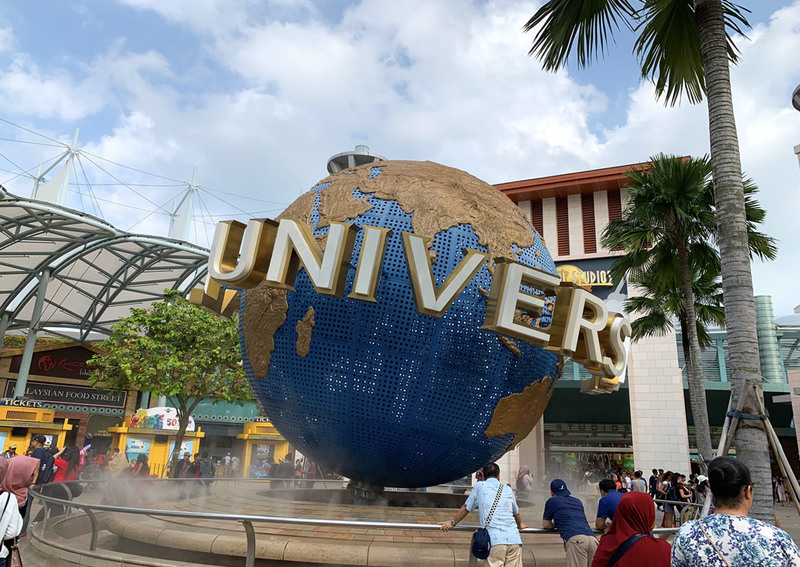 Singapore Flexi Attractions Pass with Universal Studios Option -Skip the line with this Flexi Pass and save up to 50% on entrance to 3 or 5 attractions with an option to add Universal Studios. Valid for 5 days from first use. If you are looking for what to do in Singapore that offers those Instagrammable views, this is for you. Experience the thrill of traveling high up in the sky. Take in the breathtaking panoramic views of Singapore and Sentosa Island by hopping on a cable car from Mount Faber. 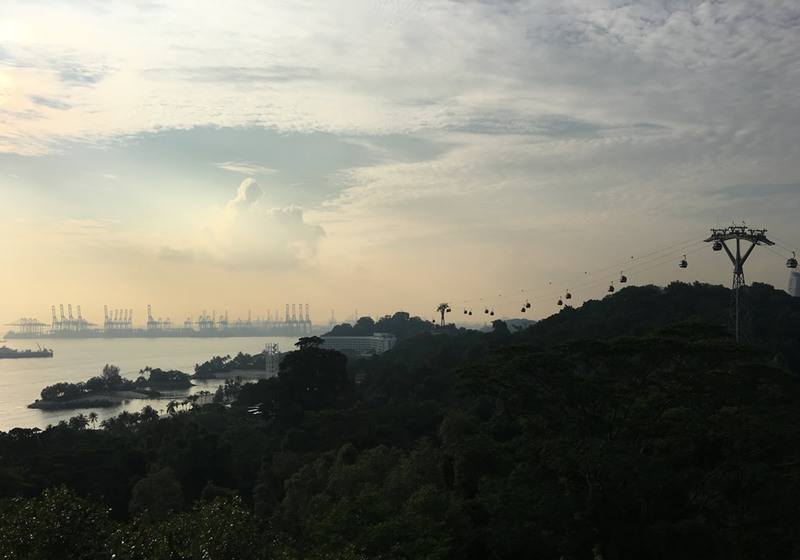 Spanning a total of 5 kilometers, you get to see the picturesque landscape unfold during the ride as you fly over Mount Faber Peak. There are two different stations the cable car stops at; You can choose to board at Harbourfront or Sentosa Island. My best tip is to head to Mount Faber and take the cable car into Sentosa Island. You have now covered two Singapore top attractions all at once! Here's a guide for Singapore's Mount Faber Cable Car offering one of the amazing aerial views of Singapore and get a glimpse of this captivating city. Tickets cost 22 USD for adults and 14 USD for children for a round trip. For the selections of Singapore's Mt. Faber Cable Car tour and other inclusive packages, click here. 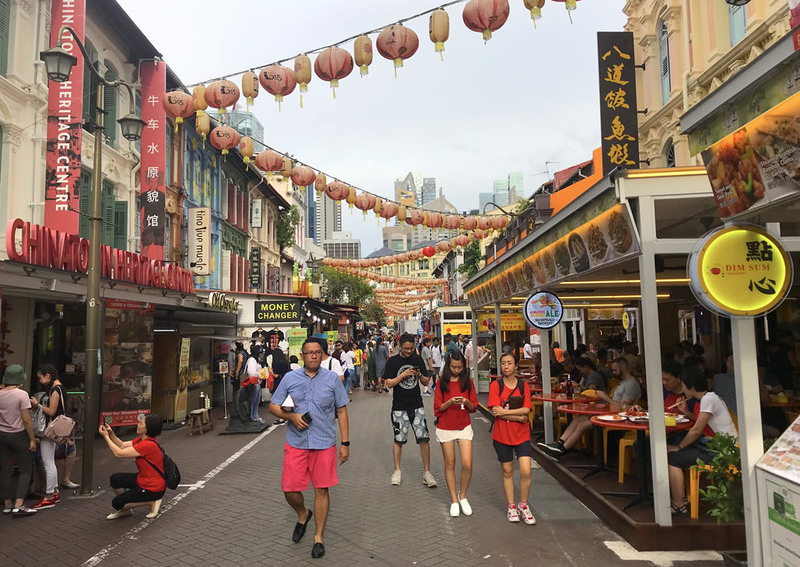 Singapore's Chinatown is a labyrinth of small roads packed with excellent hawker street food and restaurants serving traditional local dishes. You will also find some indie boutiques, souvenir shops, and chic clubs with stylish wine bars around the area. Though Chinatown is bursting with a trendy setting, the place is still rich with Chinese historical heritage and culture. Once a place for the Chinese immigrants, you can still find old Peranakan Shop-houses that have remained unchanged since the 60s. 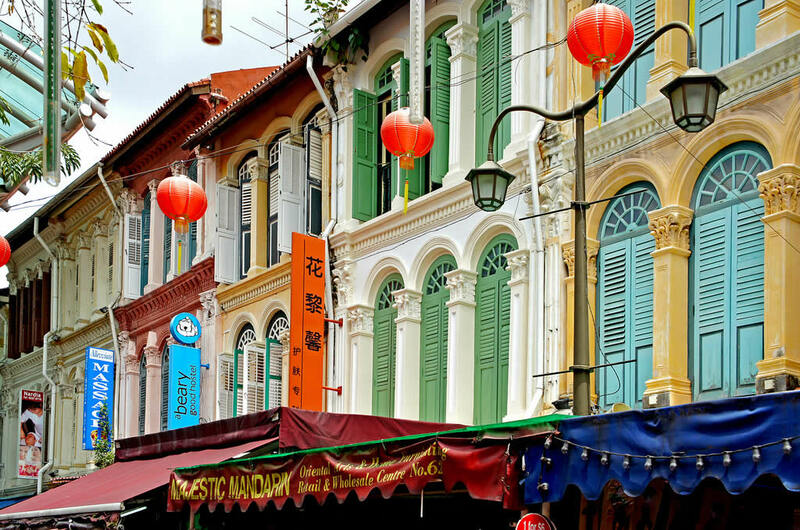 Over here, you will find yourself strolling through the bustling streets lined with the most expensive shophouses of Singapore. You will enjoy a mix of heritage sites, the famous Buddha Tooth Relic and nearby Hindu temples. There are market stalls and restaurants still lit by traditional lanterns. The designs bring back great memories of the old Chinese days in Singapore. You will find a vast range of pure Chinese Sichuan delights like dumplings, traditional noodles and our most loved steaming hot pot! If you are a fan of spicy food, be sure to try Mala in Singapore. Just beware that it makes your tongue go numb! Grab this special offer of Singapore Hawker Center Food Tour in Chinatown to discover the diverse culinary history of Singapore’s Chinatown. Each stall has its own opening hours; some stalls are open 24 hours daily. Another Singapore point of interest is the Wildlife Nature Park. There are a total of 4 Wildlife Nature Parks - the Singapore Zoo, River Safari, Night Safari, and Jurong Bird Park. 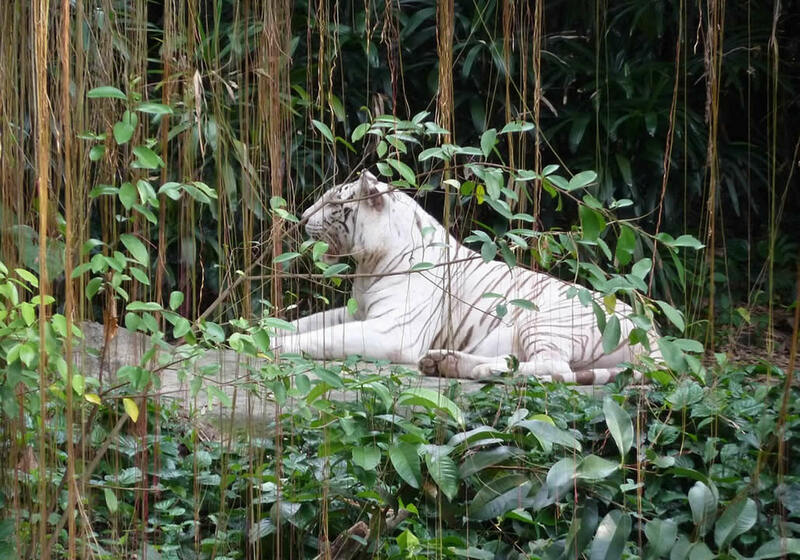 The Singapore Zoo is an “Open concept” which gives you an opportunity to see the wonders of nature and learn about 2800 animals living in an environment similar to their natural habitat. If you are up for an exhilarating experience, you can book an outdoor feast at Jungle Breakfast with the Orangutans. For the breakfast package, click here. Witness some of the biggest and most endangered animals at the River Safari, Singapore. 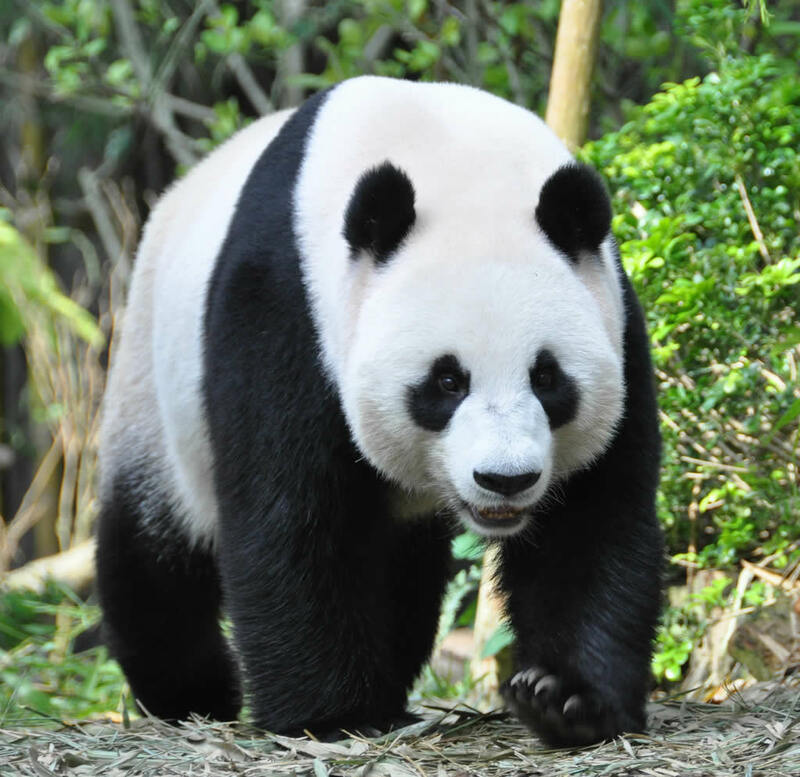 It is Asia’s first and only river-themed wildlife park where you can catch a glimpse of the famous Giant Pandas from the rugged highlands of China named Jia Jia and Kai Kai! One of the more unique things to do in Singapore at night is to experience a Nocturnal adventure at the Night Safari with your family. You will embark on a multi-sensory after-dark adventure on the tram to catch a glimpse of creatures at night. Asia’s largest bird paradise, Jurong Bird Park is home to over 5,000 birds. The first three places are located at Mandai Road while the Bird Park is at Jurong. You can access these parks easily with public transportation. The Park Hopper ticket is a perfect way to save money and visit all the parks. Or you can include this in your Singapore Tourist Pass to save even more money. You can purchase the 2-in-1 or 3-in-1 Park Hopper ticket. Adult price starts at $22, for the purchase of tickets, discounts, and additional information, click here. A vibrant place for tourist and locals to drink and party all night is Clark Quay! Here you will find excellent restaurants with a mix of Asian cuisine and European culture. Clarke Quay is a party hub of Singapore. 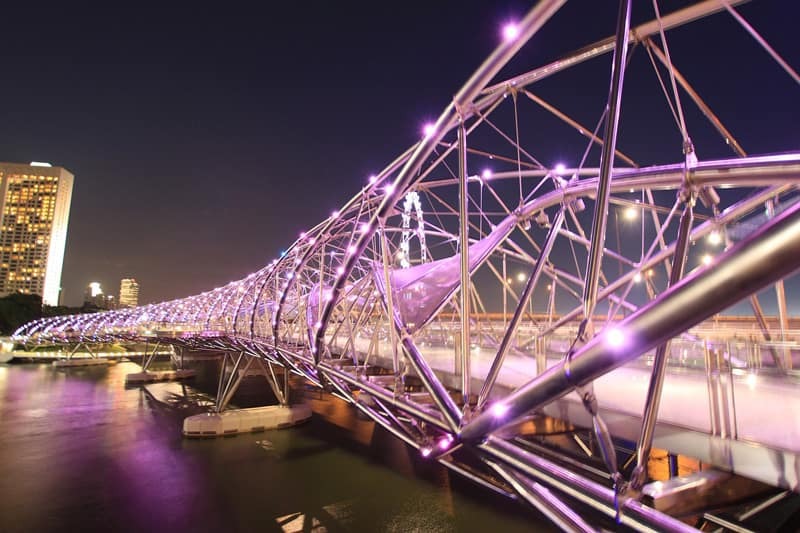 Located along the Singapore River it offers exciting nightlife and gleaming lights, packed with beautiful people. 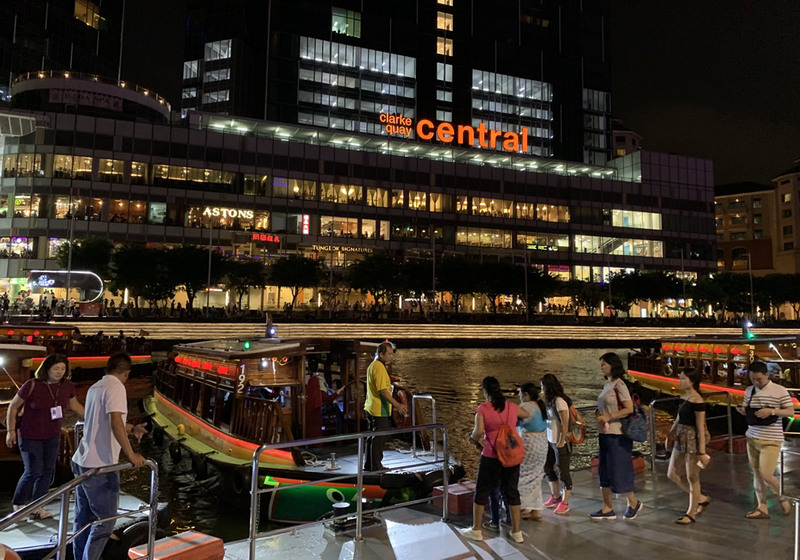 It offers a range of alternative Singapore things to do like cruising along the Singapore River or even trying out Bungy Jumping at G-Max Reverse Bungy! For many decades this was the lifeline of Singapore. It is now home to a diverse range of restaurants, bars, and other attractions. Ride the 40-minute Bumboats that cut through the heart of the city, and get a glimpse of local life while cruising down the riverside. 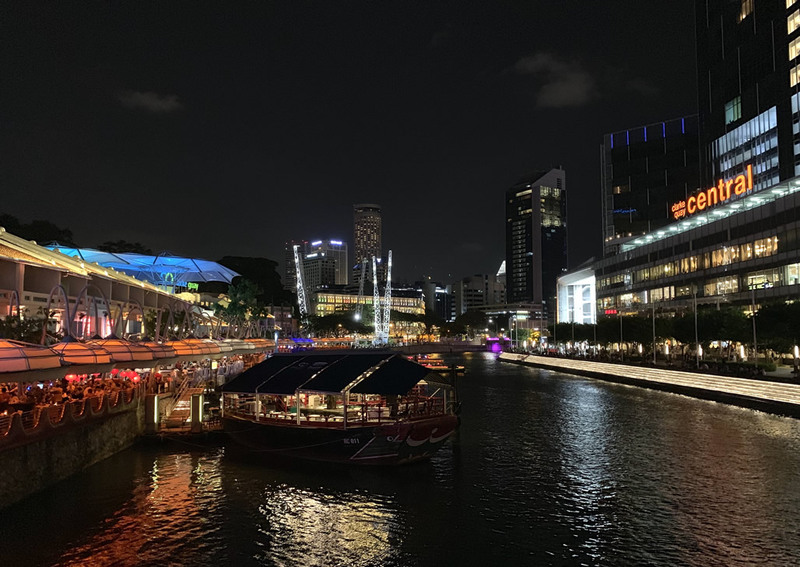 To spice up your trip down the Singapore River, catch the 7:30 pm or 8:3 pm River cruise and you will be able to see the laser water and light show at Marina Bay Sands! Sailaway on this historic waterway and grab your skip the line tickets here! This one of a kind fruit with a distinct strong stench that is not pleasant to smell but once you eat it, it is sweet and has a unique custardy taste. Either you love it or hate it, but I love it and would recommend you to try it! 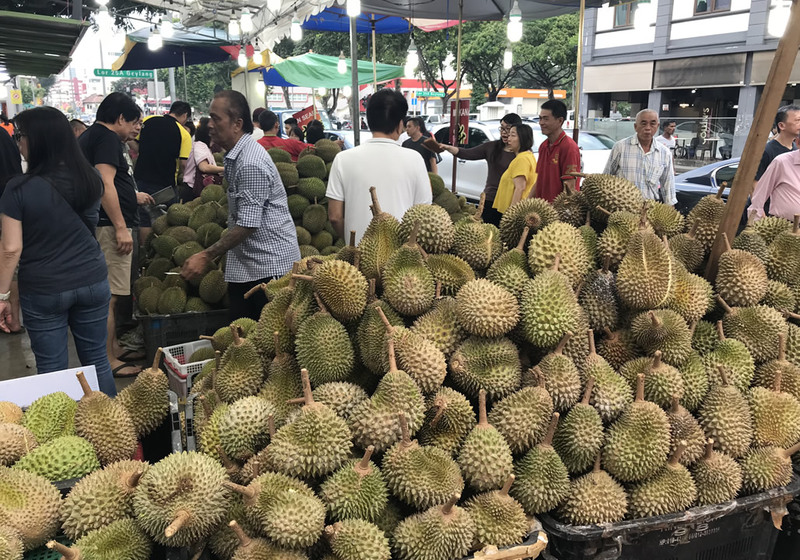 To be honest, better Durians are found in Malaysia. 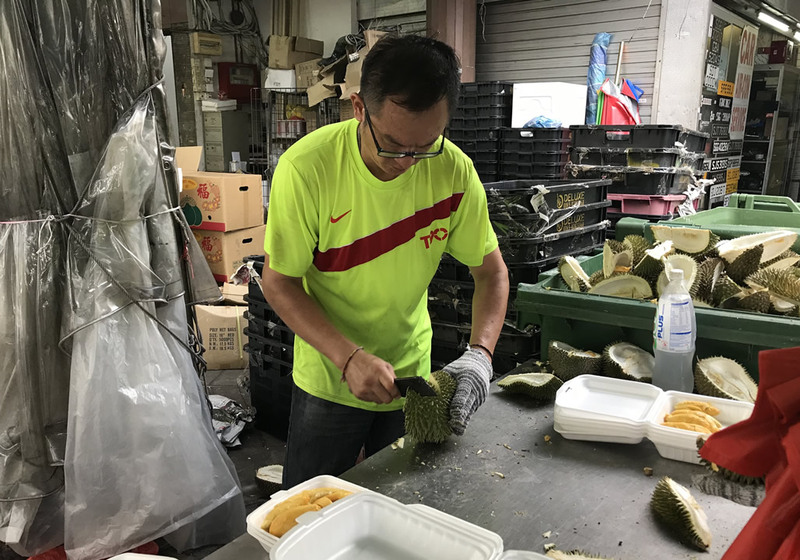 There are some good ones found all around Singapore but to ensure you try the best of the best, it is recommended to do the 1 Day JB Durian feast! You can find out more here! It is a day trip into Johor Bahru in Malaysia. Don’t worry; it is not that far! To save time, pick non-peak periods. Ensure that you have a visa if needed based on your passport nationality. Hawker Centres are the only place in Singapore where you can find delicious food at a reasonable price! This is the best place for locals and travelers to indulge and experience the authentic cuisine of Southeast Asia. Some of these Hawkers Centre serves delicious local dishes like Chicken Rice, Laksa, Satay, Carrot cake, and Tasty Chicken wings. 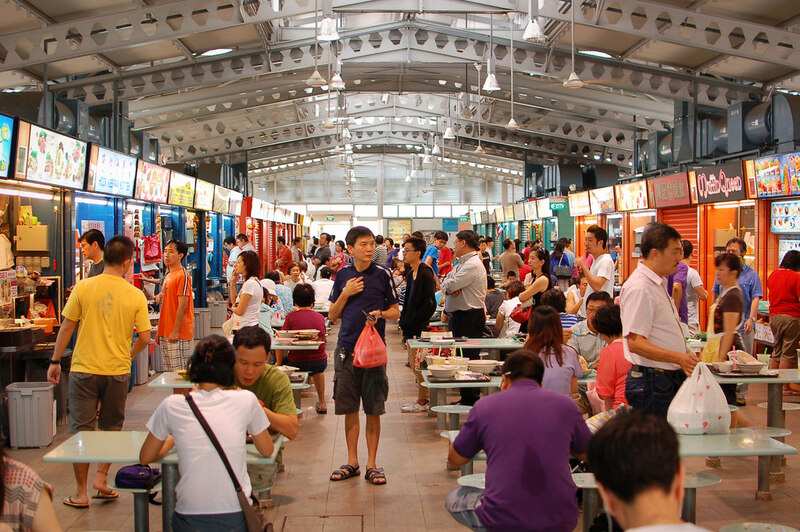 Hawker centers can be found everywhere in Singapore. Get this culinary food bundle and tasting experience without getting over budget and trying the best of best! Location: On the corner of Boon Tat Street and Robinson Road, not far from the Raffles Place MRT station. Orchard Road is Singapore's home of fashion and it is famously known as a major shopping belt. 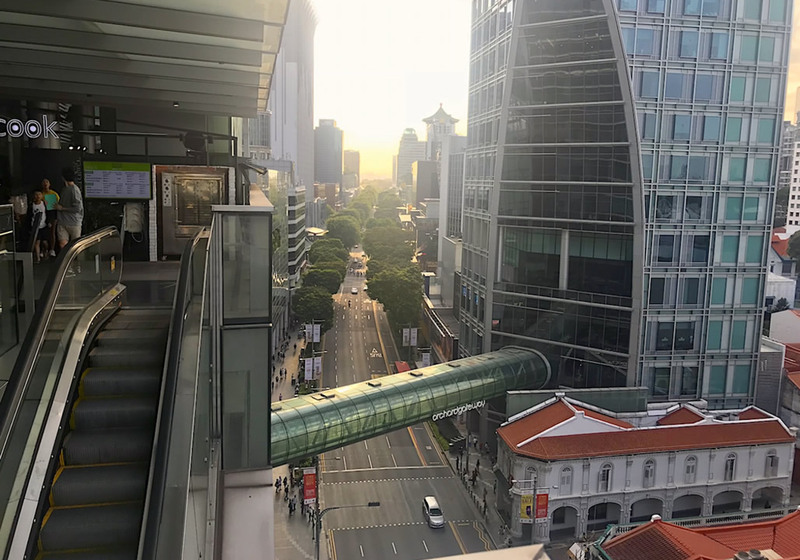 An iconic street flanked by world-class shopping malls, flagship creator boutiques, distinctive restaurants, and entertainment it is the place to be in Singapore. Stroll his bustling boulevard to people watch the ultra-rich and trendsetters who love fashion. If you love shopping and want quality finds of international, luxury brands as well as local design, head on to this street while in town. Check this website - What’s on this Month in Orchard Road for the latest and current events. 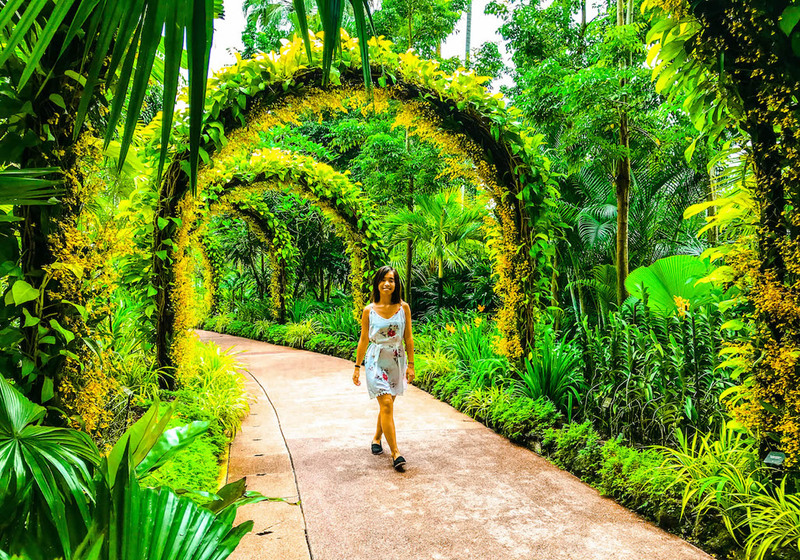 The Singapore Botanical Garden is more than a one-hundred-year-old tropical rainforest located near the fringe of Singapore's central area district. 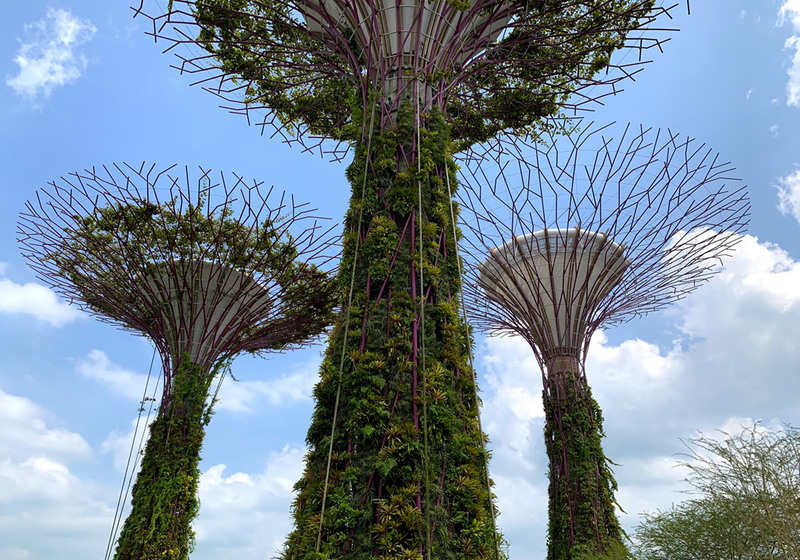 It is the first and only garden recognized as a UNESCO Site, a national landmark of Singapore, and a star attraction for locals, tourist and nature lovers. Be sure to include this stunning tropical garden in your Singapore itinerary. Admission is free, check out the Singapore Botanic Gardens Visitor Information on their website. 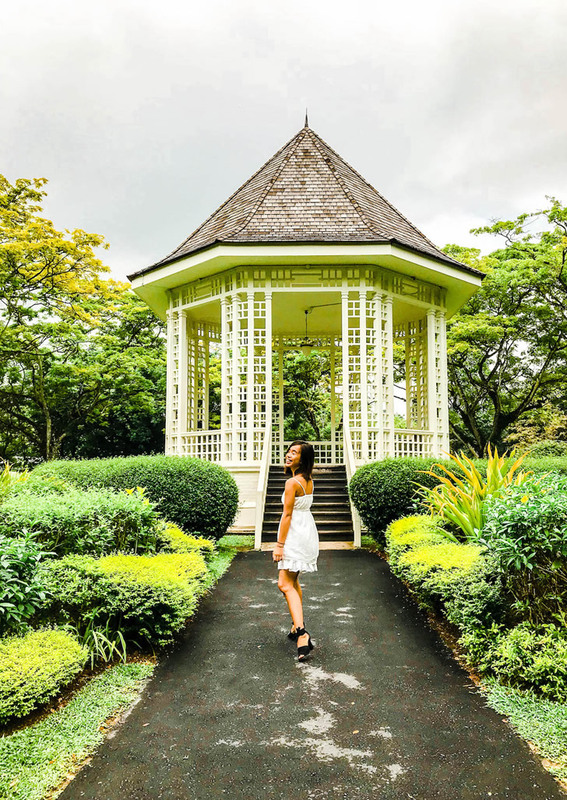 Located within the Singapore Botanic Gardens and surrounded by a verdant environment, the Orchid Garden is one of Singapore's top attractions. It displays a wide collection of some of the rarest orchids in the world. For the Visitor Information, Admission Fee and Hour of Operation, visit their website for complete details. You can get the latest price and lowest deal and skip the line by booking your ticket ahead of time. 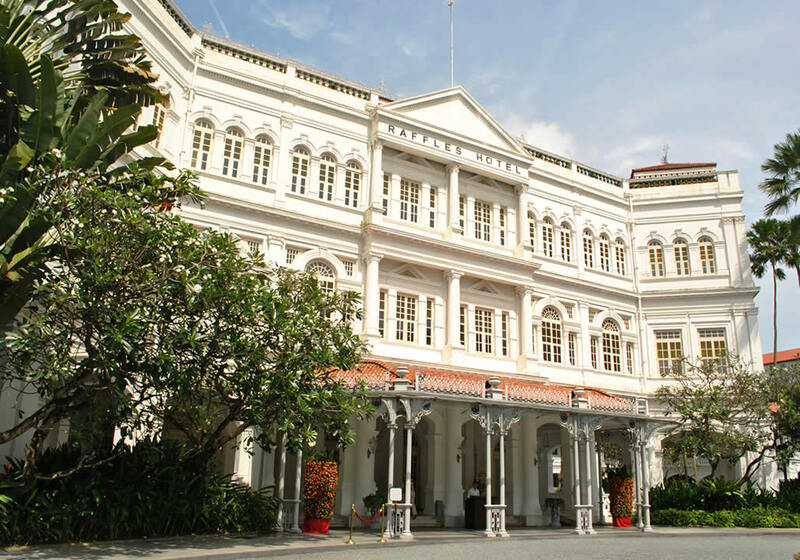 Named after Singapore’s founder Sir Stamford Raffles, and the oldest hotel in Asia, Raffles Hotel is a unique hotel where Heritage meets Luxury. Built during the Colonial era, it is one of the most iconic buildings of Singapore till today. 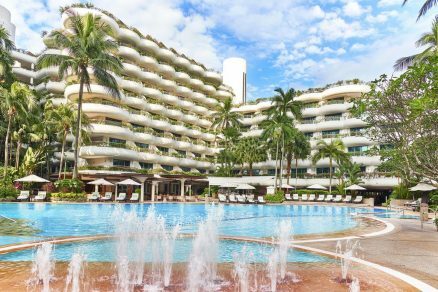 Raffles Hotel is a 5-star colonial-style hotel that provides a relaxing vacation in the heart of the city offering the most exceptional amenities in town. Staying a night at the Raffles Hotel does not come cheap, but that is what you pay for a little experience of Singapore’s rich history. Note: Raffles is undergoing renovations but will re-open August 2019. If you are staying at the Raffles Hotel or even if you are not staying at Raffles, be sure to try the famous sticky sweet Singapore Sling. It is a gin-based cocktail developed some time before 1915 by Ngiam Tong Boon which is still popular among locals and foreigners today. It is widely regarded as Singapore's national drink and you cannot visit the city without having at least one! 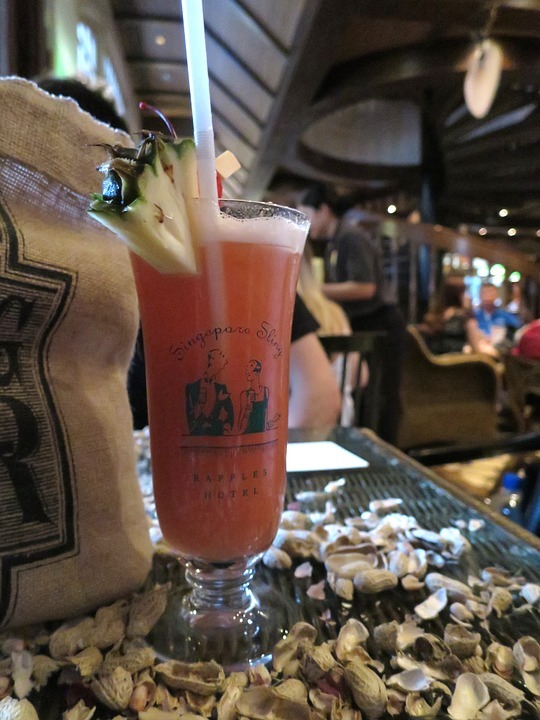 The Singapore Slings of Raffles are legendary. 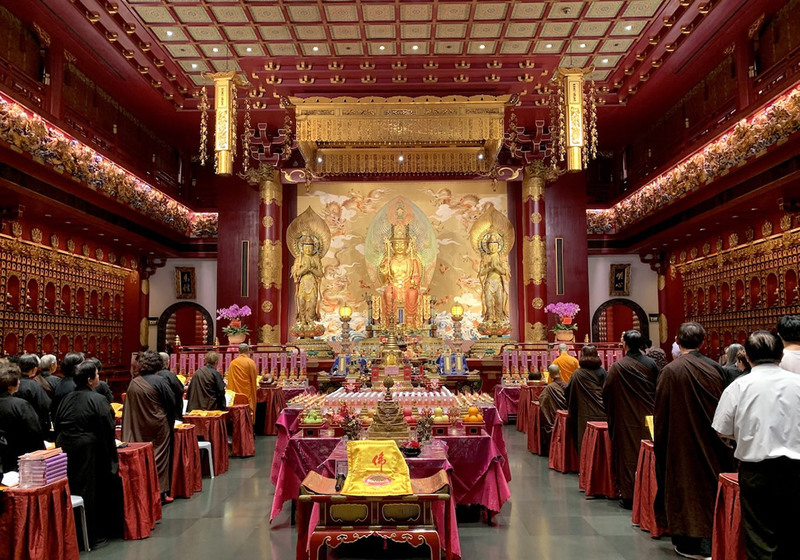 The Buddha Tooth Relic Temple is a notable monument seated in the Chinatown district of Singapore. It is a large museum complex with an incredible four-story Buddhist temple. The walls on the first floor are lined with one hundred Buddha statues. If you are exploring Chinatown, be sure to take a step into this richly designed temple, and you will be truly amazed. 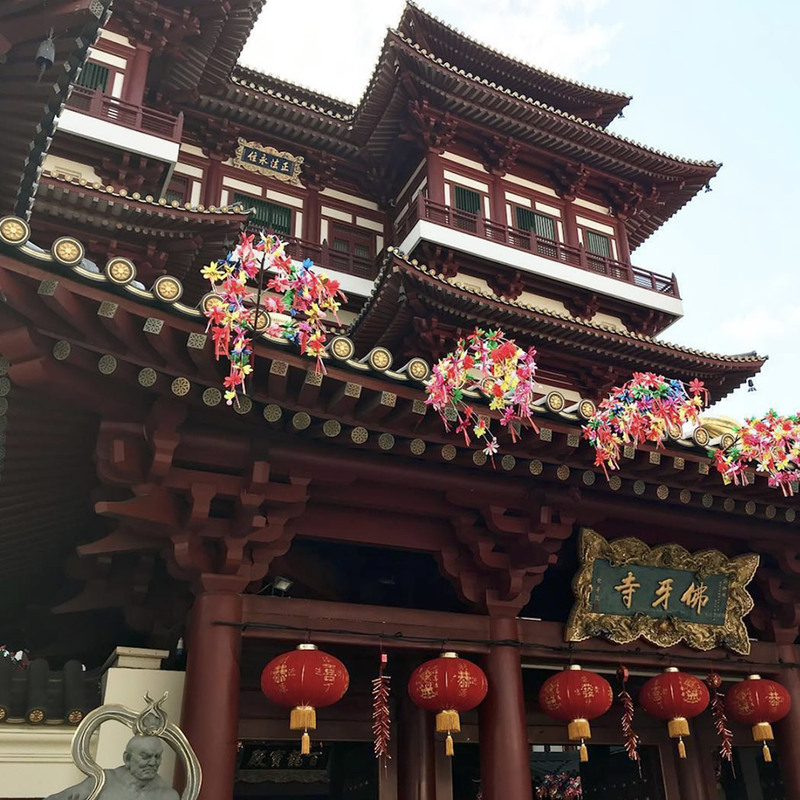 The Buddha Tooth Relic temple is believed to hold Buddha’s Sacred tooth on the 4th floor and has attracted tons of tourists and locals to receive blessings. It is a remarkable treasure of Buddhism marking a strong religious history. The dry season is from March to August, while the wet monsoon season is from September to February. However, it can get cloudy and rainy during the dry seasons too. It is advisable to carry an umbrella in your daypack as the weather conditions can be unpredictable. Traveling to Singapore for a while? 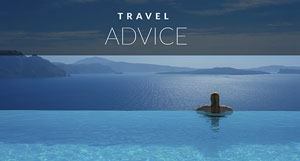 Don't miss these great articles to help you plan your trip! Cars drive on the left in Singapore. Be sure to look right before crossing the streets. When standing on the escalator, stand on your right. The left side is for people to walk. Singapore is a tiny city, and it is easy to walk around! Attractions are located very near each other as well. There are several modes of transport that you can choose from. If you have time and would love to experience like a local, you can choose to take the MRT and Buses to navigate around. 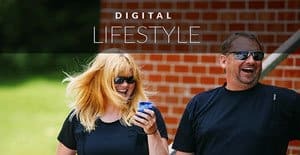 If you are a first time user, be sure to google online, download the app on your smartphone and check if any additional discount codes can be applied. At times, you can get SGD$5 off your rides! There are also taxis in Singapore. 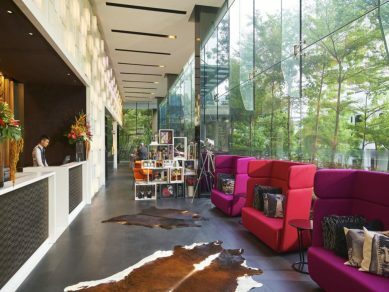 For more information on where to stay in Singapore, check out Charmaine's other article breaking down all the neighborhoods and best accommodation in Singapore. Search for cheap flights to Singapore. These are what I consider the best things to do in Singapore. Have you ever been to Singapore? What do you suggest are the best Singapore attractions and activities? Did I miss anything? 5 Responses to "The Best Things to do in Singapore – A Local’s Guide to the City"
Great information here! Makes it much more appealing than I thought it would be. I’m wondering if there is such a thing as budget accommodation anywhere in Singapore? Say under $40usd/night? Or is that just impossible thinking? 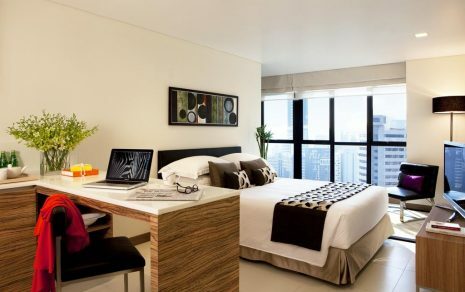 You can get budget accommodation in Singapore, you just may have to look at Hostels and shared rooms. Charmaine also wrote an article for us breaking down the best places to stay in Singapore including neighbourhoods with suggestions from Luxury to Budget hotels in Singapore. Thank you for sharing this information. I didn’t even know much about these beautiful places. I am planning this year to visit Singapore with family. Your post helps me a lot. 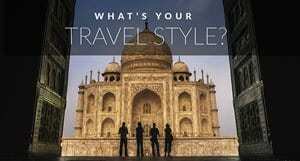 Keep travelling and let us know more about the beautiful places. Hey Charmaine, I think I found this blog of yours at the right time. I’ll be going to Singapore next month and couldn’t have asked for a better ‘things to do’ list. Thank you so much for sharing this with us. Keep traveling! I might not want to leave if I go to Singapore.